Marguerite Bastarache, 73, of Bouctouche, passed away peacefully, surrounded by her family, at the UHC Dr. Geroges-L. Dumont, Moncton on Sunday February 3, 2019. Born in Bouctouche, she was the daughter of the late Aubrey and the late Germaine (Roy) Bastarache. 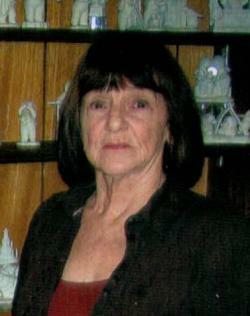 She will be sadly missed by her daughter France Girouard (Léo Richard) of Bouctouche, her partner Laurent Cormier, her two sisters; Rose-Marie LeBlanc (Normand) of Dieppe and Francine Bastarache of Cocagne, her two brothers; Jean-Philippe of Bouctouche and Michel (Linda) of Shediac as well as several nephews and nieces. She was predeceased by one sister Annette and one brother Normand. At Marguerite’s request, there will be no visitations at the funeral home. A funeral Mass will be celebrated at the Saint-Jean Baptiste Roman Catholic Church, Bouctouche on Friday February 8, 2019 at 4:00 pm with interment in the parish cemetery in the spring.